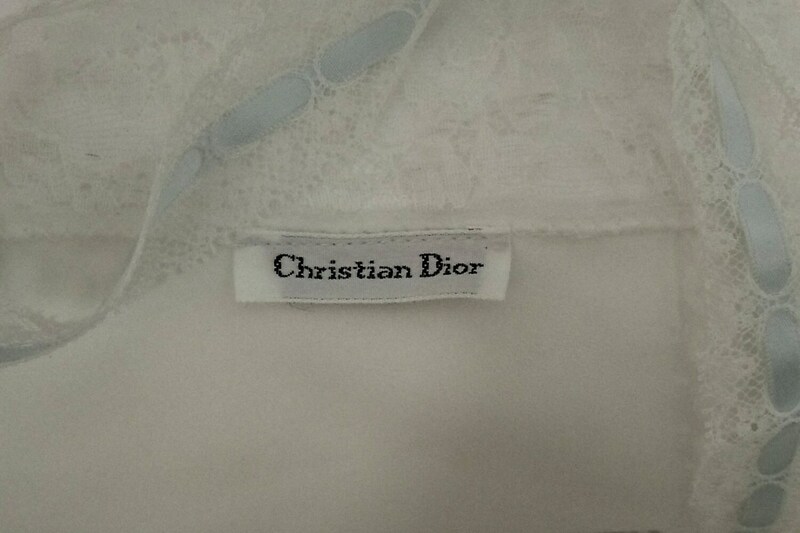 Authentic and Collectible 1980's Christian Dior Slip is in EXCELLENT vintage condition. Lovely bias cut white satin, French lace bodice and hem are trimmed with blue satin ribbon. This gorgeous piece would make a very elegant addition to a wedding trousseau. Slip will be shipped via Canada Post. Fedex available upon request. Please do not hesitate to convo me with questions.